Good morning, my friends. I read a recent ebook by Andy Andrews entitled "Perfect" that changed my perspective. The point on the book was that we notice all the things that are wrong, but do we notice the perfect moments? Kip had sent me the ebook with a note that "let's start looking for perfect." This morning is one of those. I get up so early (5 am most days) that for me to sleep until 7am is quite a feat. Up at 7am, it was still foggy here in North Georgia, where my husband finally got me away from the self-imposed rigor of my daily routines meant to keep my house neat, the 3 kids in line and moving in the right direction, and to write and share with you in fulfilling my God given purpose in life of encouraging and helping others. 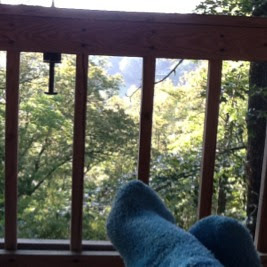 You'll be reading this post and living this morning with me in a week or so because my family has asked that I keep when I'm gone (unless to conferences) private until after we come back. We are pretty practical country people and there have been a spate of robberies in our local home town. While my house is not so fancy, I'd like to keep what is in it intact and respect my family's wishes. But this morning, I got up and grabbed one of those TIME magazines that just came in but I have not had time to read with the end of the school year. As a child, TIME was my introduction to the world. Starting at a young age, I read every one of "Dad's" magazines usually ignoring Better Homes or Southern Living for Newsweek, or TIME. Reading TIME always takes me back in time to when I was a young child on a Saturday morning wrapped up in a blanket on the couch reading it while cartoons played on the TV. 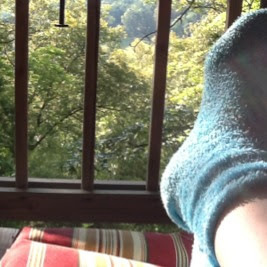 The fog was out this morning as I settled into the garden tub overlooking the tops of the trees. I didn't put in my contacts so I wouldn't need reading glasses to get steamed up in the blistering hot water I was running in the tub. I started reading and stopped only to use my toe to turn off the water when I realized it was now running cold. Only half full (these mountain cabins don't have very large hot water heaters) I chose not to run the jets so I wouldn't wake up Kip in the other room. Fascinated by a flow chart showing the various options laid out to Greece and its struggles for fiscal responsibility and the impact on the Euro - I was transported to a world and wondered what my friend Craig in Greece has to say about the veracity of the reports that most of the cost cutting has been on the backs of schoolchildren and teachers in Greece. I read responses to a recent time magazine about Benjamin Netanyahu (another TIME I took time to read ;-) and found the critique fascinating of those within Israel who say that he gave access to foreign journalists that he wouldn't give to his own. I read TIME's cover story about Mitt Romney's life growing up and was curious about the unnamed malady his Mom had and the fact that she turned down a sizeable movie contract and could have been one of "those actresses" from the golden age that we watch in Turner Classic movies but instead chose to marry Mitt's Dad, George. As I read, the water turned cold and I got another tad of hot water from the hot water heater to heat things up. Not the steaming hot bath I hoped for but the view from the window made up for that. Over halfway through the magazine, I put it aside to look at the trees outside -- blurred like a water color painting by my not so great long distance eyesight, I realized that in the middle, there was a tree that looked a lot like a transformer. Yes, you know one of those transforming robots that my 11 year old watches on those movies with the tanned girl and quick witted Shia Labouf who looks just like my nephew Clint. There he was, staring at me. It was then I realized. It has been so long since my mind could wander. Wander through the random thoughts of a mind without a list. I sat there looking at my transformer friend and filled with gratitude for the moment. Many people in this world live such hard, desperate lives that to think of having such a moment would be the ultimate in vanity. I don't mind working and don't "live" for such moments away but as I write more and more, I realize that these moments nurture my creativity more than anything else. Not only that, I can relate to the Psalmist who said, "I lift mine eyes unto the hills where comest my strength." So I looked at Mr. Transformer in the treetops and for a moment thought about being afraid -- he looked so real. But I teared up with the realization that the moment was Perfect. I had found a perfect moment and I wouldn't be afraid of that. Sometimes I worry that I don't really know where this life is heading with me. My oldest graduates this year with his sister following the next year. I look at June after we come back and it is literally completely booked until July 1. I have a second book due in early July and already have notes for a third and fourth. As the soul who inhabits this body, it is in my nature to ponder my own path -- I care about myself - of course I do. And one of the biggest things I've come learn after hitting 40 is the finite-ness of my own time. I can't do everything or be everywhere. When I was in Canada and my son got pneumonia it almost killed me. So, I've booked 3 events for the fall and a filming thing for a friend and that is probably just going to have to be it. There is definitely a force that tries to inhale me when I go to conferences. There is a certain pull to "be on stage" - be one of "those" people that we all secretly think of becoming that is up there while the rest of us listen. Those people who are lean, fit, have a perfect life, and have everything in order. Maybe if I travel all the time I could be "that." But reality has shown me that "that" would mean sacrificing "this." This is more moments with my babies and laughter with my husband. We laugh so hard sometimes at my house that I literally cry and we just can't stop. We talk about interesting things and work so hard together. My home is a fun place to be and I'm so grateful for the 19 years with this hero of a man that is my husband. Then, I realize that in the spirit of continuing the perfect moment that what I want to do most is write. I used to write in journals for hours a day but now, this blog is my journal. Most of my writing is for you who read this blog. I admit that some days it is so very hard to write and I don't feel like it, but I know that 95% of what I accomplish daily is my habits. I mess up all the time and wish I could do better or spend more time writing for you (and me, because my ephiphanies often come as I compose) but this is my life. I keep thinking that maybe I can show teachers a new path. A path of being and STAYING a teacher while taking a little time out to speak to help send your children to college. And yes, paying for college has been on our mind a lot lately. Within 2 years we'll have 2 in college and every book I can write and speech I can give will help us do that which we can't afford even on the salary of a teacher and an engineer. It comes to me that there are more of you out there that may want to take this path. While I have an immense amount of respect for those who "do the speakers circuit" I totally know that isn't a life I want. My strength comes from my family and I love and adore getting out and speaking to any audience of teachers. To do it all the time, however, would be too much. I have babies to raise still. Who on earth will ever even read this meandering post but me? This has got to be the longest post I've ever written and it breaks every rule of blogging, I think, that I've learned EXCEPT one -- being transparent and being real. If I share with you my goals and you share with me yours then perhaps we can help each other along the way. I do know what I do want to be. I want to be an excellent author who helps people and makes their lives better. Recently I was in a webinar with a college professor and her students and one student told a story about an autistic boy that bought tears to my eyes. She said "Vicki, I read in your book about the autistic boy in Austria who presented online and didn't have a speech impediment then so I decided to try it with one of my students who had a terrible stutter. I want you to know that when he presented in the online classroom, his stutter went away completely. It changed his life and I cried." (This is one of the stories in Flattening Classrooms, Engaging Minds) - That is what I want to do. Help people. I want to write books that change lives and soon will move beyond education books. I'm never going to write a book just to write a book but will only write books that solve problems. I'm not going to pretend I'm perfect but will be real about what I share. I want to be incredibly helpful, kind, and respectful even to those who are unkind to me to model my faith and the forgiveness I've received to others who may mistake Christianity with hate mongers. Should the good Lord let me write books to reach through the paper and ipads and computer screens to improve someone's life in some way - then let it be. Wherever I share whether it is here, tumblr, pinterest, facebook, Twitter, let it be to help others. There are enough narcissists in the world and arrogance is repugnant. If anything I'm pretty normal and probably boring. People where I live think I'm geeky and that I can't carry on a normal conversation but I disagree with them. God has a plan for you and a plan for me. I pray for each of us to find it. Now,I hear sausage sizzling so I'm going to be done and enjoy this perfect moment even if it produced a quite imperfect blog post though one that accurately represents the mind of a very tired teacher. As you think about transforming - what are you transforming into? Do you like the direction you're heading? Are you willing to change course if you're going a direction you don't like? Do you know what is important to you so you can make decisions? Have you had your perfect moment yet this summer? Written June 3 or so in the mountains. Yesterday, after my daughter did her part in Sylvia Martinez's incredible Birds of a Feather about attracting more girls to STEM fields, we were trekking back to the Embassy Suites. She kept asking me how she did as if one answer wouldn't suffice, she was seeking more affirmation. "After I present, I want to feel like the pouring out of my heart and all my energy to an audience meant something but the fact is, you have to know you did your best, learn from your mistakes, and walk on. You can't keep revisiting it, because it is in the past." At a conference like ISTE when you give all you have and have nothing left you want to feel it meant something. There's also an overwhelming feeling that you missed something. The fact is, you did miss something - if you look at you, you missed almost everything because you could be only in one place at a time. What three things are you going to do next? Write them down NOW. (Tag them #istebig3 and I'll share in an upcoming post) Schedule a time to explore, do, or research those three things. THIS WEEK. No excuses. Otherwise your #iste12 becomes a memory but no action. If you presented, it is likely you gave all you had to give. That is enough. If it will make you feel better, write down 3 things you'll improve upon the next time you present. Then, WALK ON. You've got things to do tomorrow, next week, and beyond that are IMPORTANT. You are IMPORTANT. Your life matters and you matter. Each of you is just as important as any keynote speaker or presenter. Don't be in awe of their life and wish you had it - be in awe of your life and use your talents to make your life better. The #iste12 organizers deserve our appreciation. I owe ISTE a lot. 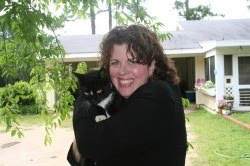 It was the SIG Online Learning award that first had Julie Lindsay and I meet in Atlanta in 2007 (?). I met Anita McAnear that year and wondered why she would even have time to be kind to a rank and file conference attendee like me. Then I realized that she is just an incredible person who has worked very hard these many years. Thank you Anita. I'm about to board a flight to Phoenix and I'm struck with gratefulness. Publishers and advertisers and whoever talk to me because of YOU. When you say hello to me and smile - it means a lot. When you say "thank you for writing and helping me" it keeps me writing. "She reads your tweets and I read your blogs. I like your long blog posts the best and read every one of them." It just confirmed my strategy to share and help people where they are and where they want to share. Whether you are a new reader or an old reader, thank you for conversing with me and being here. I'm very grateful and don't take the responsibility lightly. #iste12 was great and now off to a family wedding. I'll see you online. Walk on! I'm convinced that politicians, actors, and businesses are in the business of education because education hasn't taken care of its business. I don't think that educators should sit back and complain about the current state of education because the current state of education is in place largely because of our own state of mind. It is time to change our minds about what we can do and do it. It is time to stop talking and start living it. Get to work at work worth doing. I think that an excellent example of a massive societal effort is that of the Victory Garden which resulted in over $1.2 billion in food being produced by the end of World War 2. Victory Gardens were planted on public and private lands to grow food and take the pressure off of suppliers. In Britain up to 40% of their vegetables came from Victory Gardens. Everyone took responsibility to do their part or more than their part to help. We need lots of educational opportunities from many sectors. Creating educational opportunities and helping kids find them should be our education victory garden. Everyone should do it but it cannot replace schools who should be a virtual garden of educational choices. The great thing about going to ISTE is the kind of people you meet and are around. People in IT in education are some of the hardest working people I know. Teachers are very hard working. The people that take time out of their summer and money out of their own pocketbooks to attend such a conference are the "salt of the earth" type people who guide their lives with their hearts and work hard with their hands to make the world a better place. Educators need to know it is possible to improve education and that society supports their efforts to work every day towards improvement knowing that we are all flawed people. The toxic environment of unforgiveness and crucifixion of those who make mistakes is making education into a place where people don't want to innovate for risk of hurting themselves and their families. Never mistake the threats to industries that support education (like textbook companies) as a threat on education itself. Learning is an essential part of any advanced society. The way we learn must change to adapt to the ways we now interact and share. Many education-related companies and organizations including publishers, traditional higher education, and eventually schools are going to experience MAJOR upheaval in the next 10 years but remember that it is because new ways of educating and sharing are emerging. Teacherpreneurs are going to be a hot commodity. Traditional ivory tower, exclusive, organizations are going to be in trouble. The change coming to the education industry is going to make the music/ Hollywood transitions of the last 10 years look like ants fighting on an ant hill. We are talking major societal shifts and scared company execs. Scared people are easy to control. If educators are well educated, life long learners, plugged into a PLN and are networking online -your opportunities are going to be profound. I can't say the same for unplugged teachers - it may be a lot harder for them, however, even then, don't give up hope. Likely you may look at having to change jobs and schools as administrators look for people to blame for the shifts happening in education but you'll still be needed. As older educators retire, we're actually looking at a shortage of teachers in the next few years. But there are those who would rather have a pity party than a victory party because it is easier to be afraid and complain. Times are tough but if you look at the great Depression, they've been worse. Work hard at work worth doing and you'll find meaning money can't buy. Massive change equals massive opportunity for those with a little savvy about it. Just like surfers like those big waves, some people (like me) are in for the ride of our lives. I'm excited and full of hope because great teachers are no longer islands - we're finding other teachers to magnify and make us even better. For us, this is a great time to live and teach. Technology is maturing and so are the best practices that surround the use of education tools. If you talk about apps you should be talking about application. App makers of educational apps need to be held accountable to give us the learning analytics and link back to parents and teachers we need to help kids improve by integrating apps into the overall personalized learning environment for students. Teachers want to know what to do and how to improve. Tell them. Encourage them. Show them. But most of all INVOLVE them in the change. Stop the hypocrisy PD! We can't talk about all of these educational theories about how to properly teach students and hypocritically lecture to teachers about it. 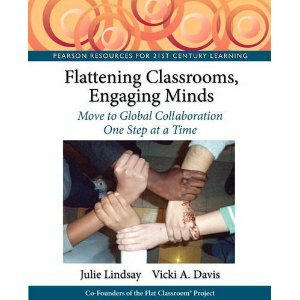 Teachers should be involved and integrated in PD (like we talk about in Chapter 11 of Flattening Classrooms, Engaging Minds) and in the change that needs to happen as schools transition to an electronic architecture under girding their education. We need to give teachers back their hearts. As Sir Ken Robinson said in last night's keynote, as parents we know that every child is different. We have attempted to standardize something that is entirely personal: children. We must personalize the learning experience and change how we approach education. It is time. Thinking we can standardize children is like telling artists to standardize their paintings. You end up with one original and a ton of bad copies. We must become artists adept at helping children paint their own lives full of meaning, a quest of knowledge, and excellence. This doesn't mean we sit around all day, drink tea and throw rose petals in meadows. We have hard work to do and so must our students, but the drill and kill is killing our education system as we know it. Which brings me to my last point. I pondered last night's keynote at ISTE all night and into this morning. Hype is like spinach -- kids always know it is there even when it is made to look different. Kids feel deceived. Last night we got political infomercials and an advertisement for a company wrapped up in the Brilliance of Sir Ken Robinson. While I firmly advocate no mob behavior on Twitter, our collective #iste12 frustration was apparent with the Hype-laced session last night. Never confuse being nice with being agreeable. I can respectfully disagree with the choice to put a vendor on stage without the qualifications to engage one of the foremost minds in education thinking in the world. It wasn't a good fit for the audience and what we needed to be doing. I can also respectfully disagree that ISTE is the International Society of Technology Educators and it should act like it. I do think that best wishes for Don Knezek were in order (but also Anita McAnear) and it is appropriate for many people to thank him. I think, however, that political speeches targeted exclusively to US voters and comments directed to exclusively US public school educators alienated many of the audience in one way or another and didn't fit with what ISTE is SUPPOSED to be. There was no reason for anyone to walk out of a speech by Sir Ken Robinson, the problem was they didn't walk out on a speech given by Sir Ken Robinson. The audience was enraptured as he spoke. He just didn't speak enough and they walked out when they realized what was happening. It is time to get real and cut out the bull. We know when hype is there so stop it. Be honest and authentic - disclose motivations. There is a place for vendors and making money but don't pretend it is what it isn't. And remember that we can be kind as we confront injustice. Our kids need us to focus on them. When improving education is less important than selling a product, then we won't have a victory garden - we'll have rich vendors and poor students. That is where we are right now. We need practical advice and honest researchers instead of the "researcher for hire" (a/k/a "researcher for hype") approach that is becoming an alarming trend in education circles. Be skeptical of any research that proves the efficacy of a product that was paid for by the maker of that product. Just as journalists have now been exposed as having bias, unfortunately it is becoming apparent that that bias extends to some researchers. Educators grab onto it, however, because it gives us a way to justify purchases that we know we need to make, so in some ways, we are to blame for this trend. We say we need it so they give us what we "need" and we've gotten what we don't want. We don't know who to trust anymore. So, am I negative about education? No. But I'm reading the Last Lion this summer and notice how Winston Churchill continued to warn the English about the threat of Germany but no one wanted to hear it. He was ostracized but he was right. I go to the church that filmed the movie Courageous and our pastor talks a lot about having courage. This is a time that calls for courageous people. A person who jumps off a bridge blindly doesn't have courage - he is dumb. A person, however, who climbs a mountain to rescue a child using the best technology to get there and good guides, is courageous. We have lots of mountains and lots of children but we also have lots of guides with the wisdom to help us get there. We're not going to get there thinking that we can be transported by any software, app, hardware, or technique. We need good, solid, educators making the best use of the best technology they can afford and supportive administration who is willing to remove obstacles accompanied by supportive parents who know that education doesn't stop at the door of the schoolhouse. We need schoolboards that understand that spending must shift into technology from other areas that are being rendered obsolete. We are accountable. We must work hard. It is time to get real, get serious, and get honest about education. I, for one, am not going to be quiet. I want to encourage and help teachers change from the inside out. It starts today. 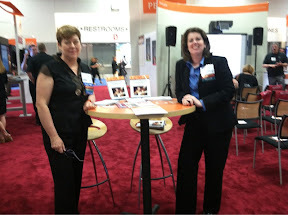 Another quick note from ISTE12. 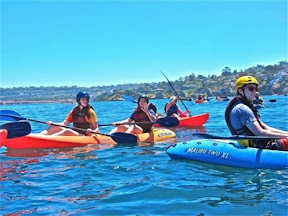 If you want to say "hi" - I'll be running around but will be on the stage outside room 20D from 10:30-11 and presenting in Wonderful World of Wiki Teaching in SDCC 31AB at 2:30-3:30, and facilitating helping teachers find each other to plan their own global projects from 5:30-6:45 at the Flat Classroom Birds of a Feather in SDCC30CD. INformation on the ignite speech format. I'll be giving one tomorrow at the global education summit at #iste between 2-5 pm at ISTE. 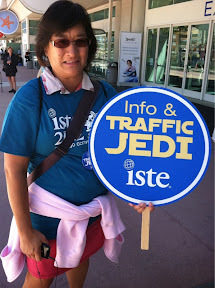 Here are notes and things I've seen so far that someone following ISTE would want to know. These may post in other posts, but I'm extracting just ISTE information for those following the conference and will post it each time I get a long enough list. Many people seem to be using Evernote hello at #iste12 - I'd download it on your smartphone. I'm going to be sharing a lot about collaborative writing and Common Core writing standards. For US educators to start teaching collaborative writing that we're going to have to align and help them understand how it will meet the standards they are using. While this will relate to anyone who wants to use cloud tools, those implementing common core standards will be very interested. This is the form to complete if you're interested in getting a copy of the book. Excellent post by Lee Kolbert for ISTE presenters and attendees. You should read this page if you're at ISTE and if you're not. It is created using Smore - an app recommended at the smackdown today. It includes many of the other events of iste that you'll want to join. Jerry Blumengarten has created an excellent set of resources on Pinterest for educators. I'll be presenting on Tuesday for remote ISTE with Maggie Tsai talking about social bookmarking as part of research (I'll also include some slides on common core from my new book Collaborative Writing in the Cloud from eye on education.) Here's information on all the ways you can participate remotely. This summary by @isteconnects gives an overview of some tools shared at socialedcon. This hashtag search shows everything tagged #iste12 on Pinterest. 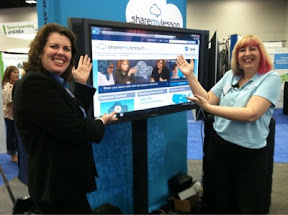 I've created an ISTE12 pinterest board and am inviting anyone who wants to share cool things. Just send me a message on Twitter that you'd like to be added. Remember that hashtags work in Pinterest. Tag it #iste12 and I'll find it and pin it to the pinboard. Socialedcon will be Saturday morning at ISTE and I'll be there to spend time with friends and meet new ones. If you're curious, here's the page with information including if they will be streaming. If you're attending ISTE and can get there a tad early, SocialEdCon (formerly edubloggercon) has always been one of my FAVORITE things to do. I'll miss a smidge of the morning to do a keynote smackdown with Steve Hargadon, Kathy Shrock but the rest of the time I plan to be there. I plan to have my daughter there with me some of the time. I presented to the ISTE affiliates. Because I had the chance, I had three things I wanted to tell them to encourage them and help them improve education one teacher at a time. This is a copy of the presentation. If you want to see the notes and what I said with each slide, I've got most of them on the main presentation on Slideshare. An interesting way to review multiplication tables. I'm at #socialedcon at #iste12 and have some important points that I'd like to interject about why we need efolios. Since it would take too much time in the session, I'm going to share them on my blog. Please forgive me for not being able to link as easily as I'm cranking this quickly. 1- About learning and legacy. It isn't just about assessment but about helping kids connect to their legacy and who that student is. efolios should be about taking kids from a number to a unique individual and give us a unique way to celebrate creativity beyond the standardized test. 2 - Efolios should make kids not feel like a number to feeling unique. They should be able to pull all of their lives together. Steve Hargadon shares how his daughter used her blog to get into college. Joyce Valenza says that "kids don't think about archiving and sharing what they are doing in their lives. We are obscuring their names of everything they achieve because of lack of privacy so the only things that people see that they are doing are frivolous." In my own life, I can look back on my journal when I was twelve and remember that I wanted to become an author back then. 3 - Schools need permanent museums of learning. If I was sending my child to a new school, I would ask that school to show what their students were doing. 4 - Schools can use efolios as a way to celebrate creativity, the arts, and phenomenal work instead of the "standardized test." The group is saying that it is a problem that everything is behind a wall and @edtechsteve made a great point that students need to own their data. I agree with that and think that every annual should have a DVD where that student burns all data from that year onto the DVD. There is a discussion about how those kids who build efolios and have them have a "leg up" versus other children and it isn't fair so all schools should allow and encourage efolios. The digital divide is being exacerbated because the "haves" have Internet access and computers at home and can build websites relating to their passions whereas those without access are allowed only to do something behind a walled garden that is deleted every year. This group also has a feeling that efolios shouldn't be "owned" by one teacher but the learner and should go from classroom to classroom. Joyce makes a great point that we need to collect some best practices for this. If you're doing efolios, please share what you're doing with efolios or your opinions on this. Remember that leaders are those who overcome barriers. You can't change your district but you can change yourself and your classroom. Common Core information center. Some good resources on Common Core and what is happening with them. Early elementary lessons organized by topic from share my lesson. There are almost 40K free resources. This is a great place to join. Matthewm is a very interesting teacher who has a lot of great math videos he's sharing. When you join sharemylesson, you'll want to follow him if you teach middle or high school math. Common core forums have been created in the share my lesson website - cosponsored by the aft and tes, this is going to be an interesting place where teachers converse. I like to watch things about teachers in Finland because they are so progressive and exceptional. This video shares how this teacher is using "progressive learning" strategies and technology. For grades 3-5. This is my blog post on how to get started with Pinterest, including tips to easily score an invite (It isn't that hard.) This is a great thing to do over the summer. ERic has moved to pinterest and has a set of pinboards that any Administrator will learn from. Michelle is another great teacher here in Georgia that I'm following. She likes to organize but has a technology board with 426 pins that is a great set of resources. So excited that one of my favorite sites for teachers (TES) has created a website particularly for US teachers called share my lesson. It is linked with many other websites and already has more than 200K resources on the site. Lots of free resources for teachers. Follow the board for your grade level and find a lot of great ideas. If you are a homeschooler, then Sara Hart's pinterest boards are must follow resources for you. I like these areas to help others on Pinterest and the ideas they have. If you like to help others, this is a great set of pinboards to follow. Another great teacher to follow on Pinterest. A fourth grade teacher who has lots of ideas, particularly in reading and grammar. I'm so excited that the way I like to find monthly resources is right here for US teachers. These are the lessons and information for June - feel free to upload and share your own. 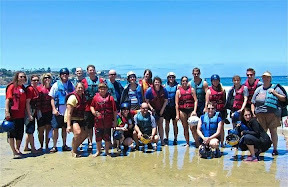 Start off with Carribean-American Heritage month - that would be fun for a daycamp. 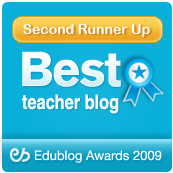 Share My lesson resources organized by grade level. The Share my lesson (cosponsored with the american federation of teachers) has organized lessons and materials by grade level. There is a lot of interest in pinterest from educators this summer. I pulled together a collection of all my pinterest resources to help you get started. This post has some information on how you can use Pinterest. If you're a company or organization supporting educators and want to dissect that pin and know how to get the word out about what you're doing, here are some tips. Lots of pinterest goodies from Pintereset including a pinit button. How to add Pinterest Button to Website? If you want to add a pinterest button manually to your website, here are the instructions. Great tips on how to take your pinning to the "next level" and find people to follow. Some neat things here. If you're on Pinterest and looking for resources, there is a fabulous set of teaching resources coming through TES on Pinterest. Nice explanation of Pinterest. There are many tools for sharing but pinterest won't even let you share if there isn't a photo on it. Photos are more important than ever. Have you learned by now? Don't let me explain it, experience it. Ask friends on Twitter to get an invitation, that is the easiest way. "There's a point where connection becomes clutter, where the networking that seemed fun and convenient a few years ago now feels like a social uzi."